Christmas traditions: Why do we celebrate on Dec. 25th? The 25th of December is a day eagerly awaited by many who celebrate Christmas - but why do so many people celebrate the holiday on that date? 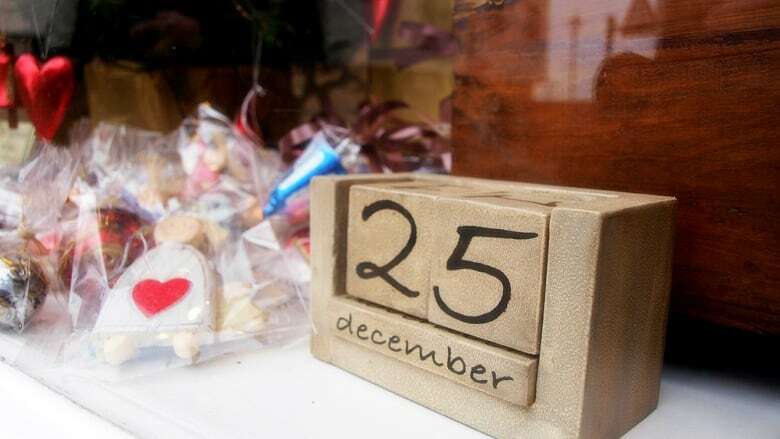 The 25th of December is a day eagerly awaited by many who celebrate Christmas — but how did it the holiday end up on that date? While Christmas celebrations take place in some parts of the world as early as December 6th and as late as January 6th in others, for most who observe the holiday it's the 25th when Santa Claus arrives down the chimney to deliver gifts. The reason this date is so widely-accepted lies far back in history, when early Christians were still struggling to consolidate the various celebrations of the fledgling faith into one cohesive calendar of feast days. Early Christians had no Christmas as we would recognize it now and in fact, the Bible suggests Jesus was actually born when shepherds were out tending to their flocks in the field — which was likely not winter. Scholars suggest his birth more likely took place in the spring and there was actually an ancient push to make March 25 'Christmas,' or the day on which Jesus's birth was commemorated. Other early Christians observed the holy day on January 6, which was already a pagan holiday as it was believed to commemorate the birth of the Egyptian god Osiris who, like Jesus, supposedly rose from the dead. The discrepancies persisted for years until the Church began a concentrated effort to bring pagans into the faith and it was in AD 350 that Pope Julius I decreed Dec. 25 as the day Jesus's birth would be celebrated. This was highly convenient for the Church, which was very much in the business of trying to convert pagans to the new religion, because Dec. 25 was a pagan holy day celebrating the birth of the Persian sun god Mithras and was already deeply embedded in the Roman Empire since being brought back by Roman soldiers fighting in Syria. The early Church figured holding their holy day on the same date as the pagan holy date would make it easier for pagans to adjust to the new rituals of the Christian faith and over time, Christianity overtook the pagan origins of the date. In his book, Christmas Mischellany: Everything You Always Wanted to Know About Christmas, Jonathan Green writes that it was felt applying Christmas meanings and symbolism to old rituals would make it easier for people to convert and accept the new Christian religion, whereas stamping the practices out entirely would have been seen as antagonistic. It would seem he was correct: Christmas is now widely celebrated in the Western world and the pagan origins largely ignored by observers.